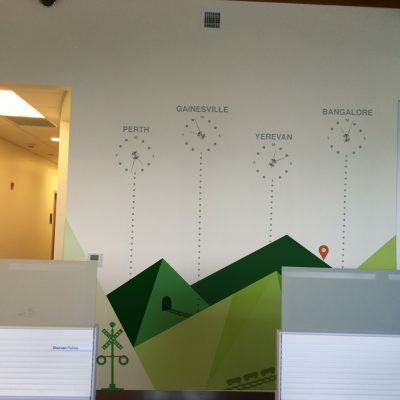 After the grand opening of Optym’s new headquarters in February, I led a team of 3 designers in the creation of murals for the offices. 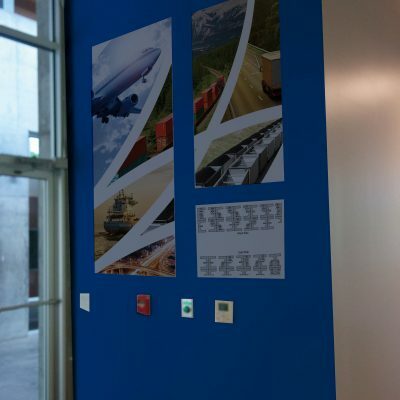 Under the direction of our Creative Director, Sam Ahuja, we created mockups and print files for production. 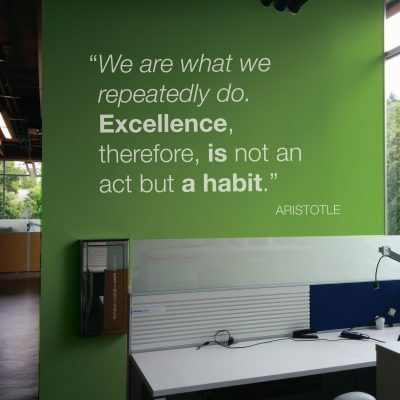 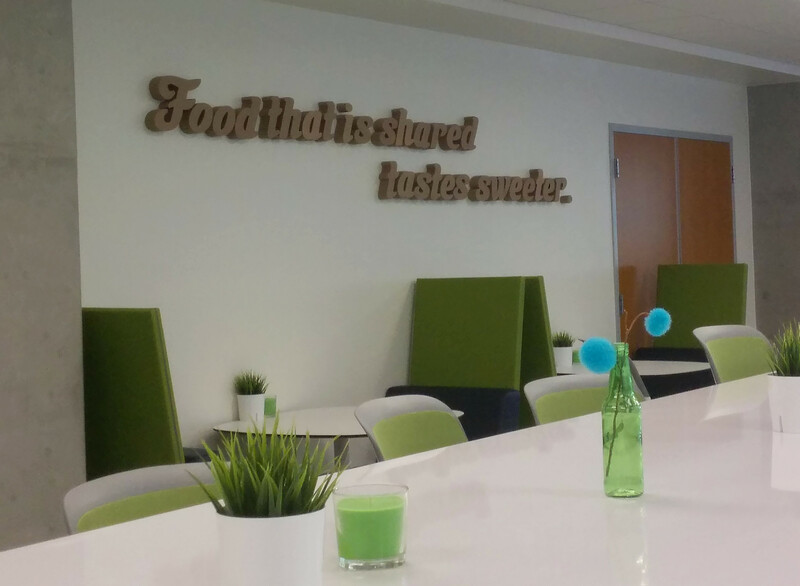 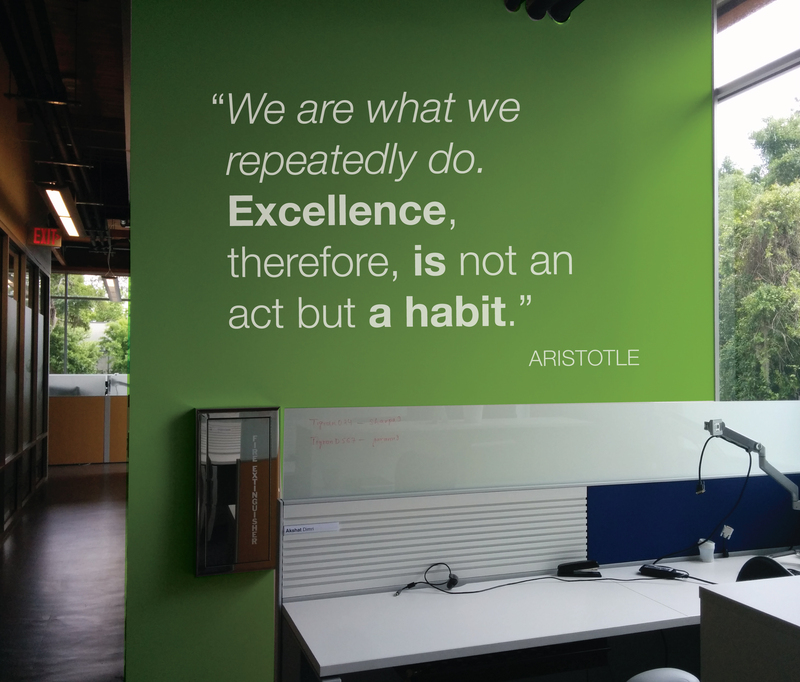 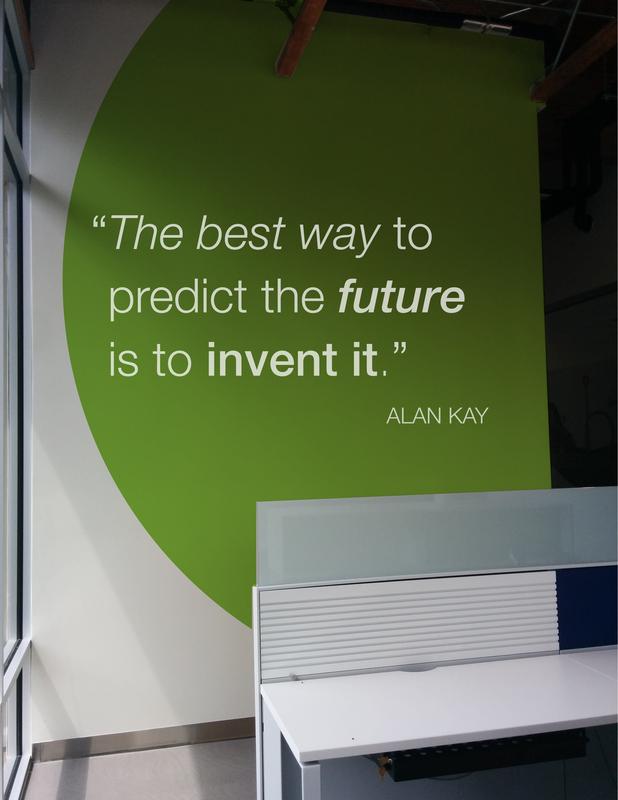 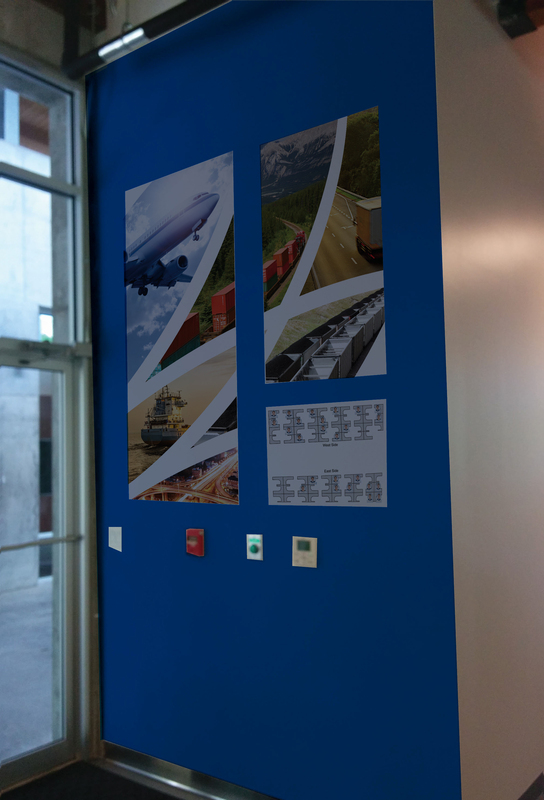 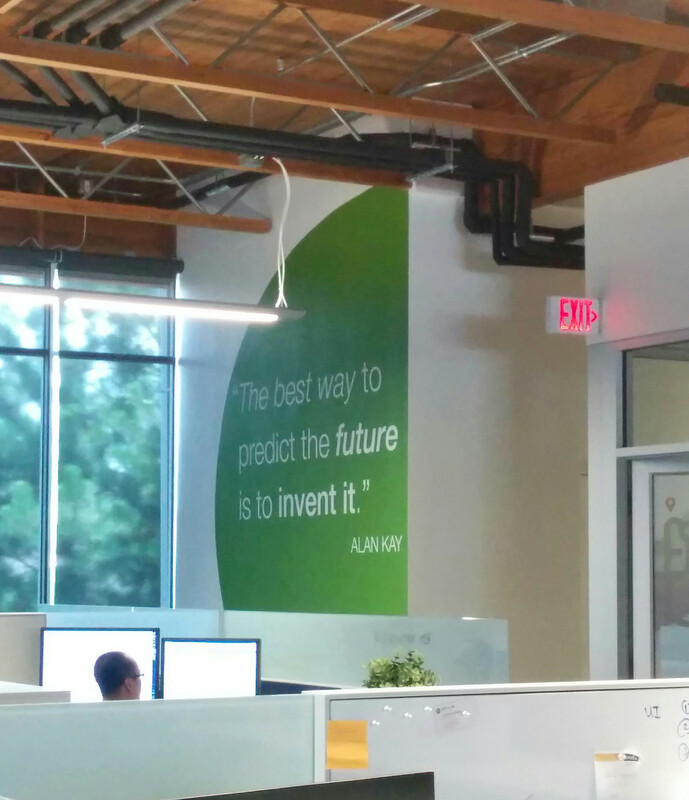 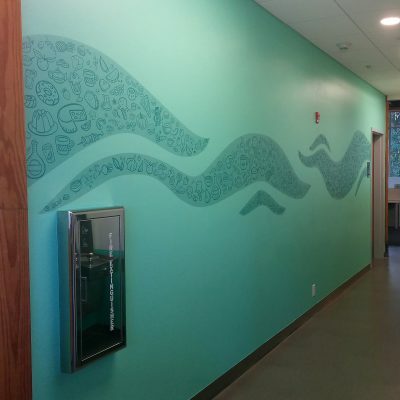 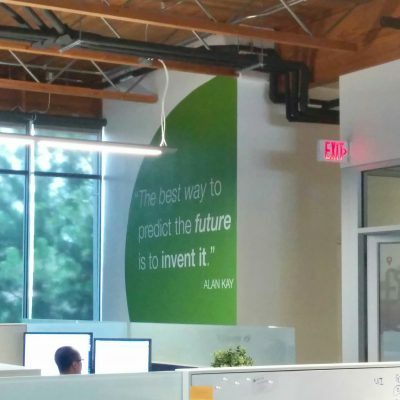 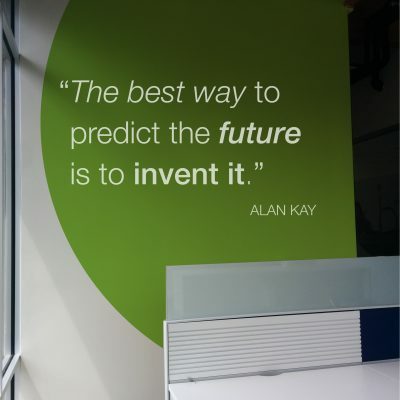 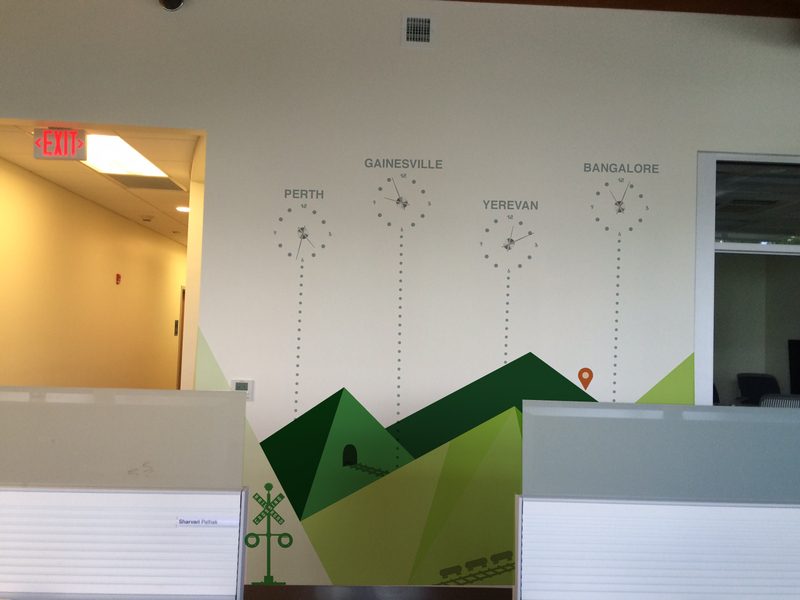 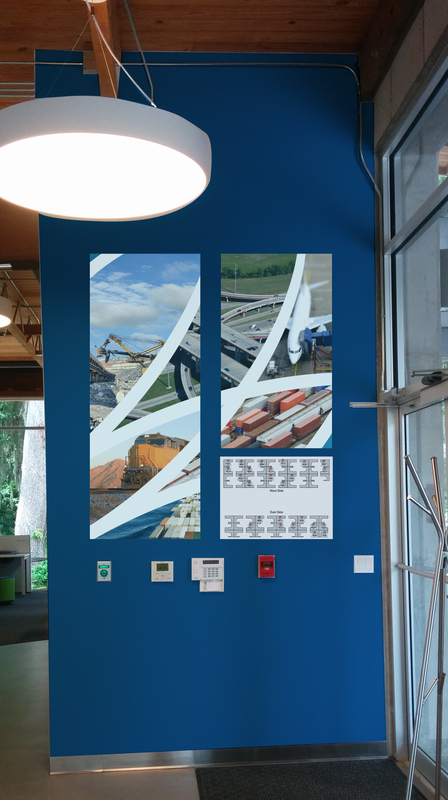 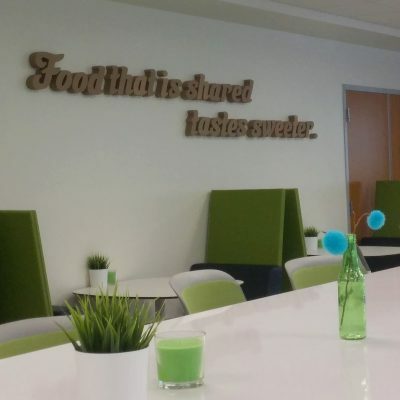 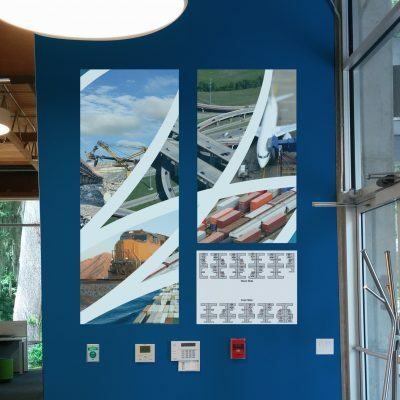 The Mural Team adapted brand graphics with the needs of employees to make the environment more fun and inspiring. 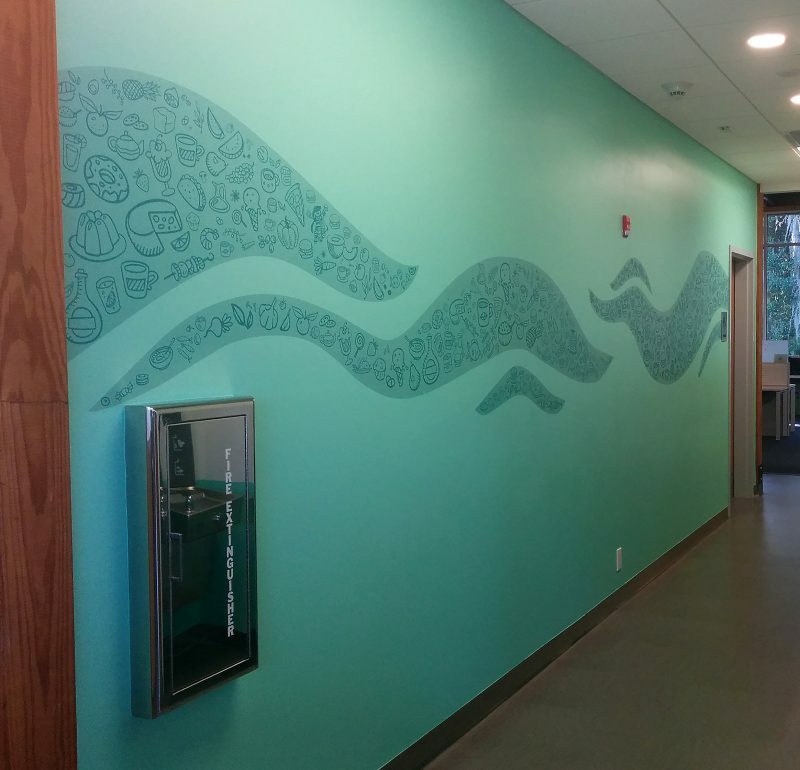 It was a multi-month creative process and it’s so satisfying to see the murals in real life on the walls.